Former presidents Jimmy Carter and Bill Clinton are backing a new centrist organization for US Baptists which they hope will give space for a progressive Christian voice and improve the negative image of Baptists in North America. It is hoped that it will also tackle broader social issues and provide a counterpoint to the exclusionary approach of the Southern Baptist Convention, with which Carter parted company several years ago. Ekklesia, 13 January 2007 — However the new grouping has made a point of inviting Southern Baptists to its foundation convention in 2008, announced at the annual North American Baptist Fellowship meeting in Atlanta, Georgia, this week. The historic 2008 convocation, part of Jimmy Carter’s new Baptist voice initiative, is expected to draw more than 20,000 participants from the United States and Canada. He said that the current image of Baptists is largely painted by conservative leaders who frequently appear on television news shows and in other media. They hold firm right-wing political views and a very narrow religious outlook. Underwood said Baptists need to be known for feeding the hungry, healing the sick and working for justice rather than for judgmentalism and exclusivity. The Southern Baptist Convention’s North American Mission Board is one of the largest disaster relief organizations in the nation and it had provided sizable aid and contributions to the relief and recovery work in the Gulf Coast after Hurricane Katrina hit. 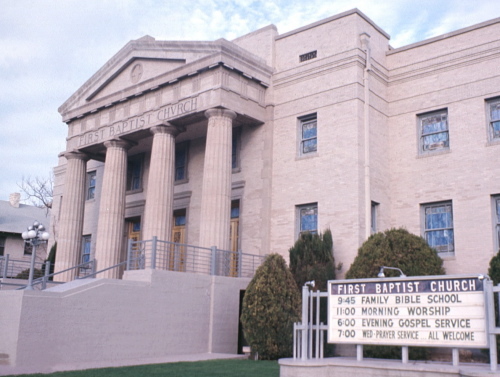 Jimmy Carter is a member of Maranatha Baptist Church in Plains, Georgia, and Bill Clinton is a member of Immanuel Baptist Church in Little Rock, Arkansas. They may both speak at the upcoming convocation, which is due to meet from 30 January to 1 February 2008. Mr Clinton was counselled by well-known Christian leaders, including evangelical social activist and Baptist theologian Tony Campolo, following his infamous White House dalliance with intern Monica Lewinsky.